Our guide to shopping centres in Queenstown features the larger retail parks in the Queenstown region. 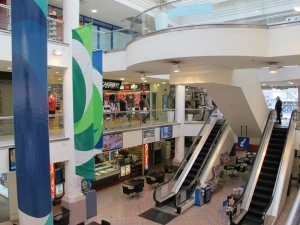 Theses shopping centres are located on the outskirts of Queenstown. Along with a range of homeware, food and specialist shops, the retail parks have the added advantage of plenty of parking spaces. Five Mile Shopping Centre is a retail park situted off Grant Road in Frankton. With other 1000 parking spaces, it offers a convenient shopping experience.